The days have gotten increasing longer this past month as we gained an average of 2 ½ minutes of daylight per day. At Cedar Rapids’ latitude, there is a 6-hour variance in daylight between winter and summer. Of course, daylight savings time doesn’t really give is more daylight. By setting our clocks back an hour, we are just shifting the early morning daylight to the evening when we are more likely to be awake and thus able to utilize it. If we didn’t shift our clocks our morning twilight in late June would be about 4:00 AM rather than 5:00 AM. I don’t know about you, but I’m usually sleeping at that hour so I would be “wasting” daylight! Daylight savings time arrives at 2:00 AM, Sunday March 12, 2017. It seems nearly every year at around the time change, people talk about abolishing daylight savings time. And nearly every year, nobody does anything about it! Arizona and Hawaii do not follow daylight savings time. That’s understandable, as the closer you are to the equator the less variance there is in daylight throughout the year. I’m a fan of daylight savings time and the long summer evenings. It feels like you have more time to do things. In the depth of winter, my wife sometimes like to get out of her work close and go straight to bed clothes at 6:00 in the evening. Now that makes for shorter days! In my first career, I worked as grocery manufacturer’s rep and sold charcoal, among many other products. The charcoal industry used to say the outdoor grilling begins and ends with daylight savings time. So there’s another reason to embrace the time change. Bring on the burgers! Rental Car Coverage: Accept or Decline? My opinion is you should accept the Collision Damage coverage (which covers physical damage to your rented vehicle), even if you have full collision and comprehensive coverage. You may decline the other optional coverage (see descriptions below) provided of course your auto policy has adequate limits for liability, medical payments and roadside assistance, see descriptions below. I feel that liability limits of 100/300/100 or higher are best for your auto policy. Let’s say you do have so called “full coverage” insurance, meaning liability plus physical damage coverage, on at least one vehicle you own. Isn’t damage to a car you rent for short-term use covered under your collision and comprehensive coverage anyway? Why should you pay extra at the rental agency for a Collision Damage Waiver? 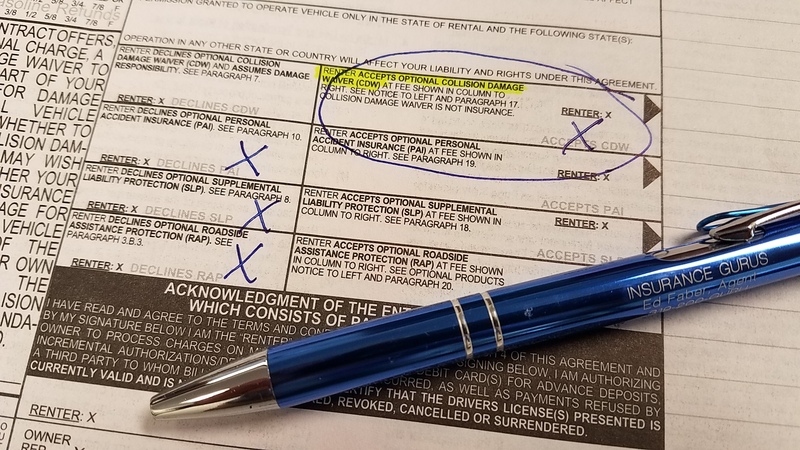 When you sign the contract at the rental agency, you are accepting responsibility for any damage to that vehicle that occurs while it is in your care custody or control. That’s why you do “a walk around” with the rental agent before and after you rent your car. Damage isn’t limited to just an accident as you are also responsible for hail damage, door dings, rock chips and any other damage that could occur. Loss of Use – The rental agency can charge you back for the time the vehicle was being repaired and out of use as a rental car. Diminished Value – If the car was damaged and repaired the rental agency could demand you pay the difference for the value of the car that’s been repaired vs. the same car value had it not been in an accident. Administrative Fees – The rental agency could charge you back for their time spent on dealing with the vehicle’s repairs including talking with the claims adjuster from your insurance company. If the above items are not covered on your owned vehicle, they won’t be covered on a rented vehicle either, leaving you to pay out of your own pocket. Even if your auto policy does cover these type of losses (and some policies can), you would still be responsible for your deductible amount, which is typically the first $500. The collision damage waiver can cover all physical damage (subject to the conditions of your policy) to your rented auto and without a deductible. I understand that rental agencies in some states may offer a cheaper version of collision damage waiver that does have a deductible, in which case I suggest that you get the no deductible option. There’s also the convenience factor of not having to go through your insurance company for the claim. Does an accident on a rental car go against my driving record? Some people think that if they have an accident and the claim is paid by the rental car coverage rather than by their personal auto insurance, the accident will not show on their driving record. This may not be the case. Insurance companies check your Motor Vehicle Report (MVR) which is generated from police reports included violations and accidents. Insurance companies also run a Clue report. Clue is a database to which insurance companies report their claims. Even if you don’t report the accident to your insurance company, it could still show up on your MVR if there was a police report. Below is a general description of typical coverage options offered by rental car agencies. See your rental car contact for specific information for your vehicle. Similar to your auto policy’s Collision and Comprehensive coverage. This can cover damage to your rental car. Don’t let the word “waiver” throw you, this is good coverage to have. Similar to your auto policy’s Medical Payment coverage. Can cover the costs of your own medical expenses due to a covered accident in your rental car, up to the policy’s limits. Can cover bodily injury and property damage to others which you are liable for. Note this does NOT cover the rental vehicle. See rental contact for limits of liability. Similar to roadside assistance or towing coverage you may have on your auto policy. Can cover cost of towing, lock-out service, lost keys and other roadside services. *Rates stated are for examples only. Quoted from Enterprise in Cedar Rapids, IA, 2016. The policy language on your personal auto policy is usually more comprehensive with fewer exceptions or coverage gaps when it comes to your liability and medical payment coverage. Therefore, you can more comfortably decline the SLP (liability), PAI (medical) and RAP (roadside) coverage options when you have adequate coverage on your personal auto policy. AAA auto club for example, give you roadside coverage in any auto you are traveling in, not just the vehicles you own. Your auto policy does not cover you in most foreign counties. Auto policies generally only cover you while driving in the US and Canada. Check with your insurance agent if you have any coverage in the counties you’ll be traveling in. In this case, it may be best to accept all the coverages offered, including SLP and PAI. Don’t assume your auto policy coverage covers damage for any and all rented vehicles. Most auto policies exclude all physical damage to larger vehicles such as moving trucks, large passenger vans and other commercial vehicles. Check with agent if you are renting something other than a passenger car. 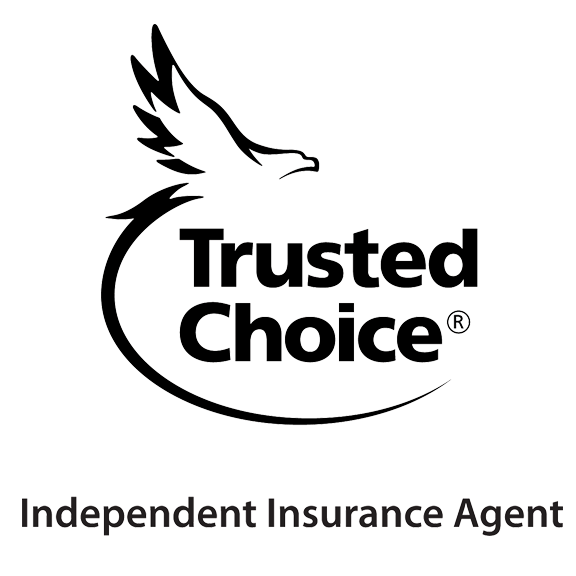 To learn more about your auto coverage, contact your local insurance agent. The views and information in this blog are the opinions of the author, given for general educational purposes only, not to provide financial or legal advice. Policies and regulations vary by company and by state. Please consult your insurance agent and policy for your specific situation before making any insurance decisions. Where is St. John XXIII church? I am often asked by friends, “Where is St John XXIII Church anyway?” Dedicated in Feb. 2004 as John XXIII, it is the newest Catholic parish in metro Cedar Rapids. The church was built on an 80-acre farmstead north of Fairfax, IA on 80th St SW. The old farmhouse is now the parish rectory. The new Hwy 100 extension will bring Edgewood Rd NE and Collins Rd within minutes of its doorstep when it is competed in 2020. The quiet country fields are already starting to give way to new housing developments and road expansion. Fairfax has extended its border to the southern property line of the parish and Cedar Rapids will soon be moving in from the north and east. 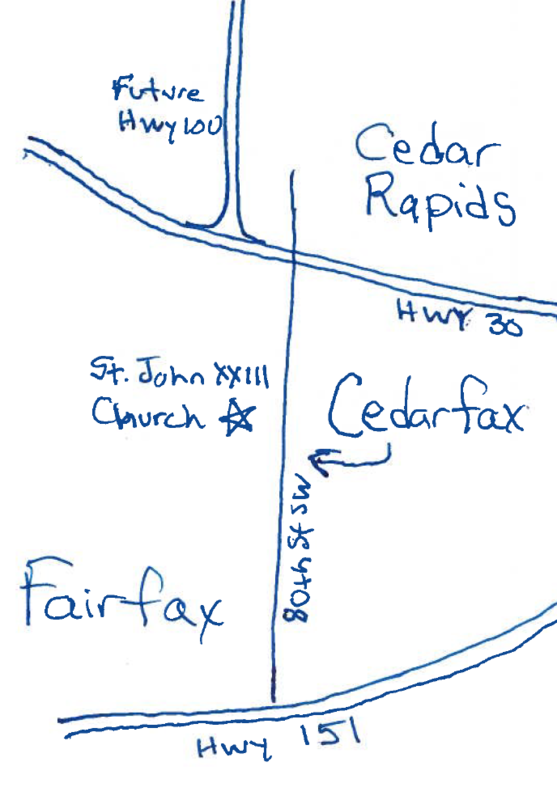 St. John XXIII parish is in this nebulous area that’s not quite Fairfax and not Cedar Rapids. I call it “Cedarfax,” in the “DMZ” that lies in between. At some point the church property will be incorporated into one of these two cities. However, since churches like other non-profits, don’t pay property taxes there may not be a rush to do so. Come out and visit our pretty little church in the cornfield while it still is. Over the next 20 years the Cedarfax area is expected to grow by 20,000 – 30,000 in population. The Cedar Rapids Community School District has already purchased land in the area for new schools. Weekend Masses are 4:00 PM Saturday and 8:00 and 10:00 Sunday morning. You can count on our fast-moving pastor, Fr. Dustin Vu, to cheerfully welcome you when you arrive! A good way to prepare is to practice safe winter driving. 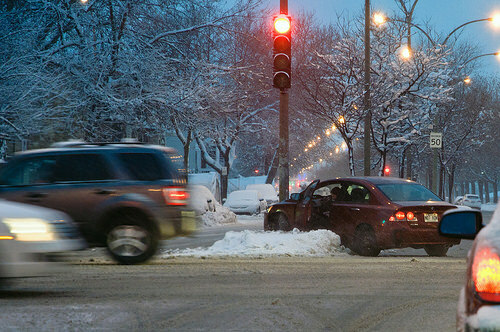 We all may be guilty of complaining about other drivers who “forget how to drive” on ice and snow. Don’t be that driver! In the daylight, rehearse maneuvers slowly on snow in an empty lot. Remember to steer into a skid. If your car has anti-lock brakes, stomp down firmly on the brake. Anti-lock brakes automatically pumps the brake to prevent them from locking up and acting like a sled runner. If you don’t have anti-lock brakes you need to pump the brake manually up and down to slow the car without going into a full slide. Maintain your car. Check the fluids, test the battery and check tires for wear and proper inflation. Keep an emergency road kit in your car along with extra clothing, blankets and first aid. Remember stopping distances are longer on slick roadways. You can test the road conditions by braking well before you need to see how your car reacts and adjust stopping distances accordingly. For Iowa road conditions reports, go to: www.511ia.org. Call 511 or 800-288-1047 for road reports from the Iowa DOT. Protect yourself by buckling up before putting your vehicle into gear. Sit at least 10” back from an airbag. Use child safety seats and make sure they are properly installed. Children are safer in the rear seat. Prevent crashes by staying, getting plenty of sleep and avoiding drugs or alcohol. alert, avoid distractions while driving such as texting, adjusting the radio or GPS. Above all be a courteous and patient driver. That’s easier said than done so practice patience everyday! Just click the button. We do the leg work to make it as easy as possible! Copyright © 2018 Insurance Gurus LLC. 2310 Johnson Ave NW, Ste 3, Cedar Rapids, IA.